Why is Google so Fast? After clicking the ‘Search’ button, the results of the keyword search are delivered by Google approximately four times faster than Live.com and seven times faster than Yahoo. How do they manage to do this? The image wasn’t actually displayed on the home page but it was forced into the browser’s cache. When the search results page is rendered by the browser, it doesn’t need to fetch the image from google.com because it already has a local copy. 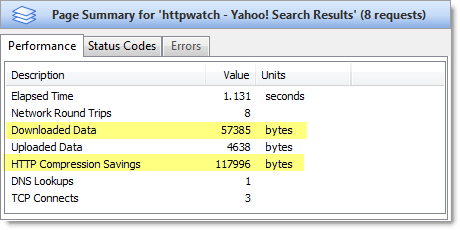 It didn’t even register in HttpWatch as a (Cache) result because Internet Explorer loaded the item directly from its in-memory image cache. As you can see from the screenshot, nav_logo3.png doesn’t just contain the Google logo. It also has a set of arrows and the Google Checkout logo. This is because the results page uses a technique called CSS Sprites. All the images used on the results page are carefully sliced out of this single aggregate image with the CSS background-position attribute. 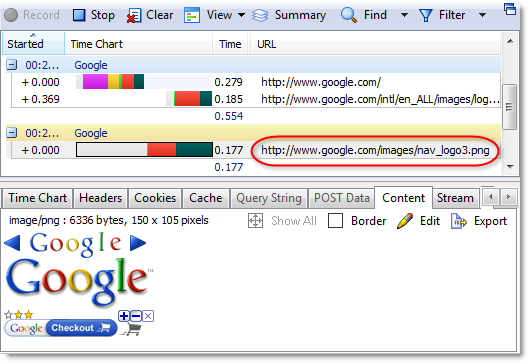 The use of this technique has allowed Google to load the search page images in a single round-trip. They’ve avoided extra round-trips for script and CSS. 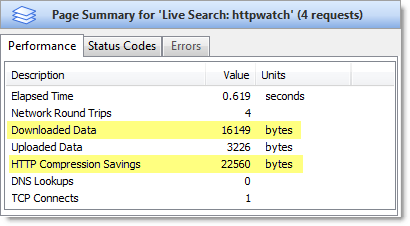 Each round trip requires HTTP response headers and adds to the total amount of data that has to be downloaded. In addition, HTTP compression tends to be more efficient on a single large request rather than several smaller requests. The HTML is written to minimize size at the expense of readability. It contains very little white space, no comments and uses short variable names and ids. Not only do these techniques improve the performance of the Google results page, they have the added benefit of reducing the load on the Google web servers. why the others don’t care about this? Excellent article, very well researched. However, Google is an extreme case – they exist in a very competitive market. I would not advocate this way of coding for the average website; their code flies in the face of most modern coding standards. Then again, it’s never done their bank balance any harm! That image keeps popping up in the top left hand corner of all my google searches, over the content ( or google logo to be more exact “top left” ) Sometimes it appears multiple times at various points down the page. Wait.. no.. this is rubbish, sorry. What you’ve said is true and it *will* reduce load on servers, but it won’t increase the speed for the end user by much. Google rely on complicated search algorithms and a complex mix of hardware and software to query such a massive database, so quickly. There is talk that parts of the database are always loaded in RAM, and Google uses a custom filesystem. Those are things that will actually make a difference for the end user, not reducing the number of requests (and remember, the website servers will be different to the servers that query the database). Yes, Google does some clever things to make its search query fast, but if they didn’t also pay attention to front end issues such as page size, round trips and caching all that effort will be wasted. 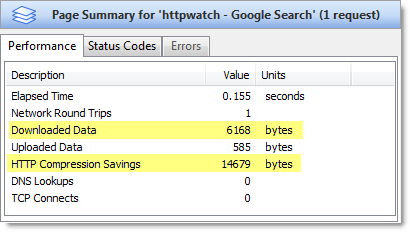 This blog post acknowledges the power of Google’s distributed super-computer, but then goes on to show what they also did on the front end to ensure that search pages load as fast as possible. wow… google really pays attention to small details. Hence making a big difference. also be a factor ?